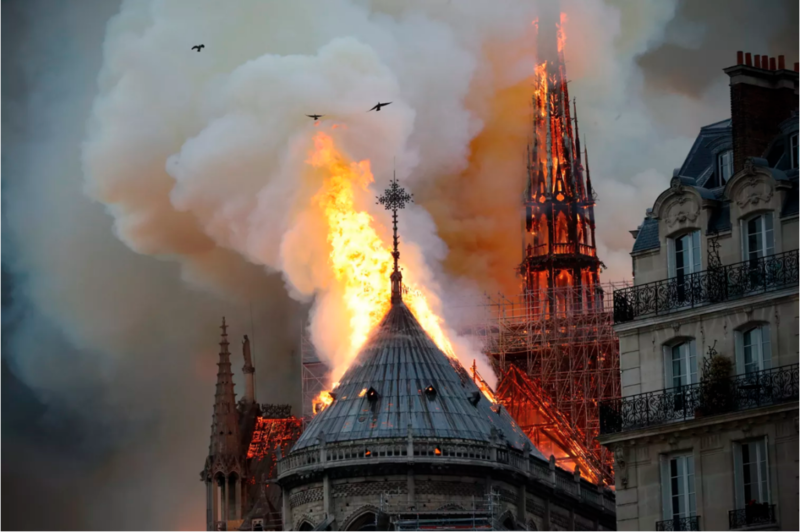 The firefighters spent hours battling the flames but not before it devastated Paris’ one of the most revered historic sites. 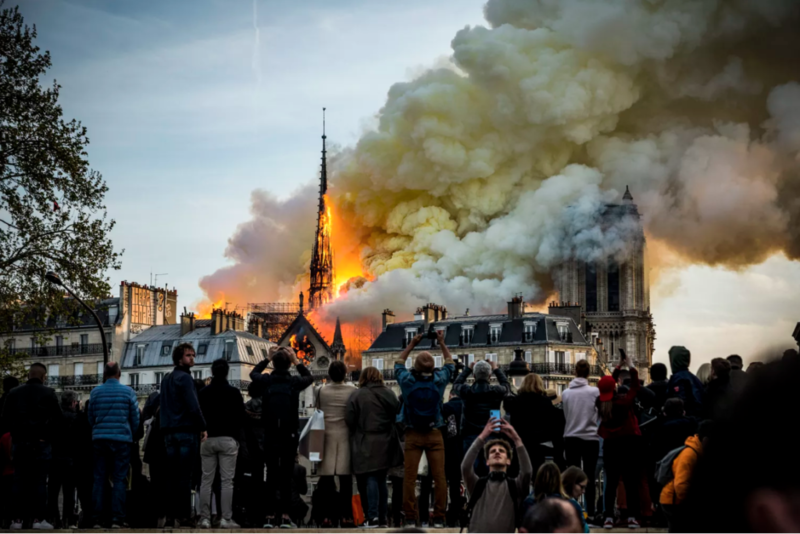 Images on social media later showed the cathedral’s spire collapsing, swallowed up by the blaze. The cause of the fire is not yet clear, though police told the Guardian that it appeared to be an accident and linked to restoration work. 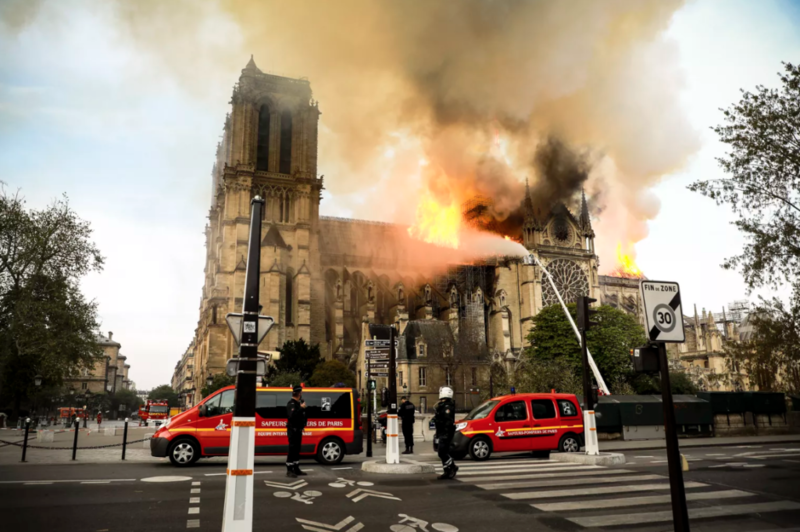 The approximately 800-year-old church, which is one of Paris’s most cherished attractions, has been in desperate need of repairs and restoration. The construction of this church had begun in 1160 AD and went on till 1260 AD. This French Gothic Cathedral building is considered a marvel of medieval architecture. One has to climb 187 steps to reach the spire of the 69-metre-high spire. The most important and notable historical fact is that French emperor Napoleon Bonaparte’s coronation ceremony was held in this building.